I think I have the ugliest backpack known to man. It’s two shades of dog-poo brown. But, I think it’s because of it’s lack of exterior good looks, it was such a steal. The 65CL REI pack was mine of the takin’ at a cool $180. That’s $100 less than it’s prettier counterparts, although color aside, they are exactly the same. One thing’s for sure — the inside of that bag sho’ is good lookin’. That’s because it is packed for my adventure. But D, what does one pack in their bag, you ask? 1 pair of pants that snap-off into capris for hiking, etc. To get a better idea (i.e. a prettier one) check out my pack list here. 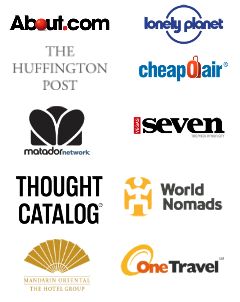 This app was made by Round the World Experts who provide Round the World Tickets for traveller. Lol, the only color worse than dog-poo brown is baby-puke green! ha ha ha!! actually, i’m sure your shades of brown are earthy, natural looking, and maybe a little camouflage-esque!!! No, they’re pretty gross, Paul. 😉 But, agreed. Baby puke green is nasty, too!! Good call on the bras. Now I know what to pack! And that pack is fine. If it was canary yellow, I’d be worried for you. Speaking of, me and a gf saw a fasion disaster yesterday. A red Adidas zip jacket with “Big Bird” (Sesame Street) yellow harem pants. Now, that’s ugly, not you’re bag. Here’s to Croatian brandy! 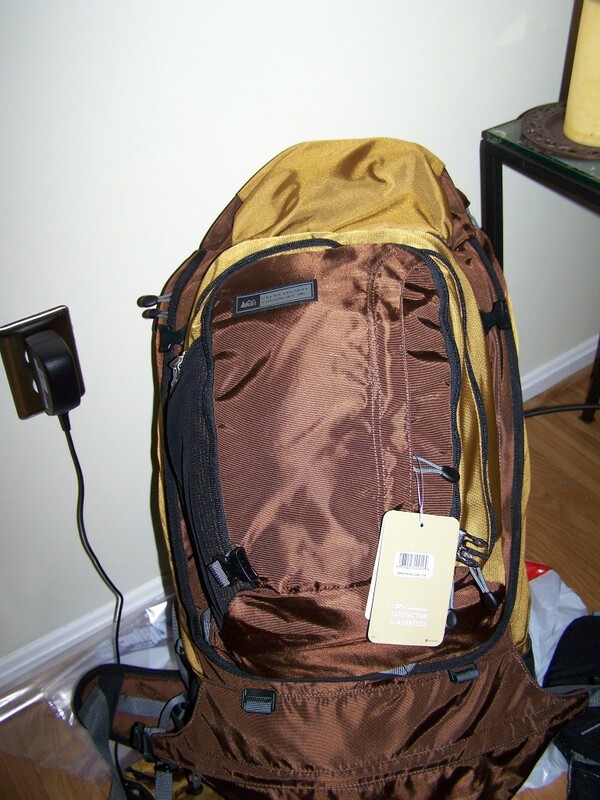 Wow…….months and months of travel in one backpack!!! Amazing. I’ve thought about doing this come November, should I do that – I will be referencing this for sure. Let me say this — being in London and seeing all the amazing clothing and well-dressed people hurts a tinge. BUT, it’s so worth being here that not having the cutest clothes is OK.
DEFINITELY do it!! Keep in mind if you are going in November, you are going to have less room since you will be packing warm clothes. No biggie, but something to consider. Let me know if you have questions! Always happy to help! Party on; will continue to follow you as you hit the road. Maybe we will intersect in the Balkans sometime this month? Thanks!! I won’t be in the Balkans until later in my trip. I am in London, Ireland and Spain this month. Think I will be in Morocco in April. Possibly over to Tunisia … want to make sure I stay 30 days out of Europe so I don’t get kicked out … want to meet me down there? I’m leaving in three weeks and I haven’t tested out my pack yet – eek! Although I think I may be on the right track as my list looks very similiar to yours. But 16 pairs of undies are hilarious. I may stick to 7 and do laundry once a week. I’d love to hear your non-clothing list. I’m erring on the side of light as I’m heading to warm weather countries and I’m sure I can pick up clothes for cheap. I know it’s funny, but last time I went backpacking laundry was such a pain. Figure it’s best to have more than less! My non-clothing list: 2 lightweight scarves, 1 warm scarf, pair of gloves, two hats that can be smooshed, 2 necklaces, some makeup, face stuff and hair stuff. Anything else you want to know? happy to help!! D I saw much worse packs when I went shopping for mine and think of it this way. Nobody’s going to steal from you when your camouflaged in the corner. LOVE jeans. Couldn’t travel w/o them.